Can you feel it? Spring is almost here again. Ok there is still the threat of snow on the horizon but I have seen crocuses so that means preparations need to be made to freshen up our interiors for those brighter days that are on the way! At Dot Projects HQ we love a bit of bringing the outside in, but here in NI sometimes the effort and expense of installing large patio doors can be a bit wasted when we rarely get to use them! Here is an easy way to get the feeling of the outdoors in your home and bring all that lush greenery and spring vibes in your home. 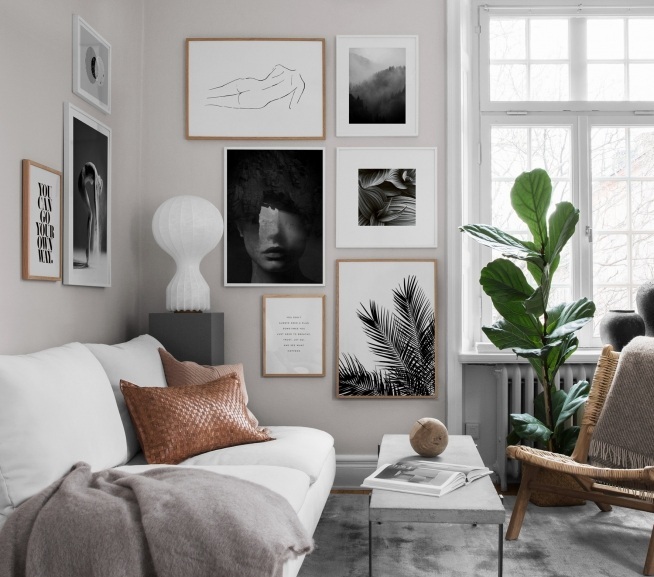 We’ve all been loving our cosy Hugge vibe for the winter, but cosy scandi neutrals that having reigned the interiors scene for well, forever, need to make way for a bit of vibrancy as statement colours are making a comeback. 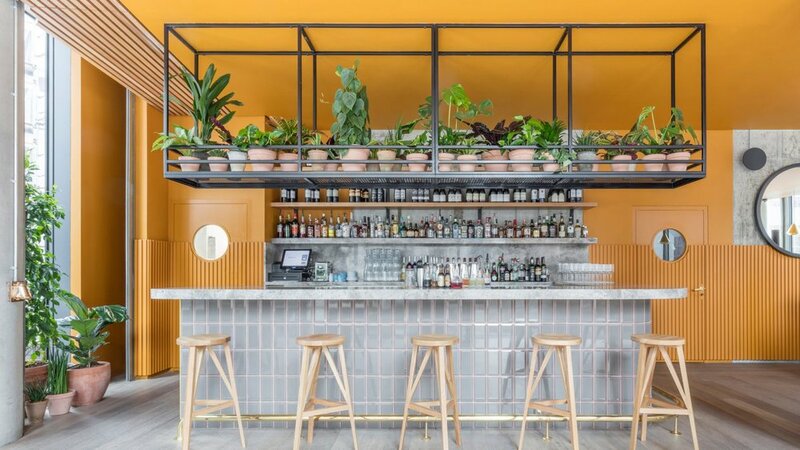 With interiors trends such as Maximalism and Wabi Sabi moving to the fore, we might need to be a little more bold with our colour palette. Think Ocre, Bunt Orange Peacock blue, cactus green, tomato red... If you’re not ready for full on maximalism yet, a statement splash of one or two of these colours will refresh your home for spring. Chrome was the king of the metallic’s for a long time but it seems now we’ve opened our minds to coppers, brass, antique and matt finishes there is no stopping us! My absolute current favourite at the moment is matt black. 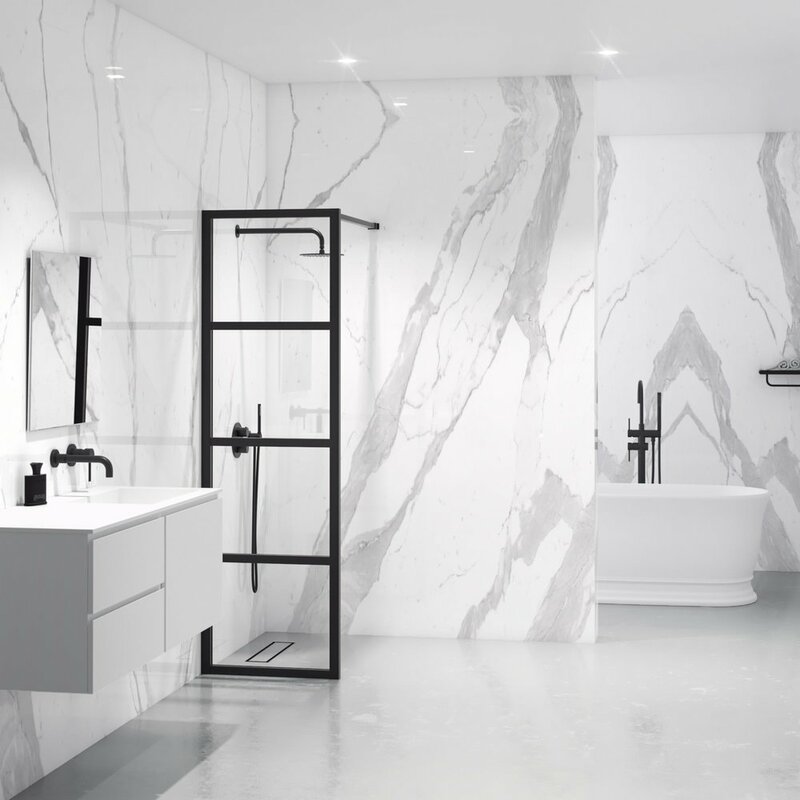 Monochome bathrooms look modern and elegant and keeping you’re palette minimal in the bathroom creates a classic look that will stand the test of time. Prints are the perfect way to breath new life into your interiors. This season prints are all about figurative life drawings, and text art. You can easily choose colours that will compliment your current colour scheme or mix it up completely with some new splashes of colour on your walls and accessories to transform your living space. Creating a gallery wall adds richness and texture. It is completely unique, so own personality and individuality to your home. 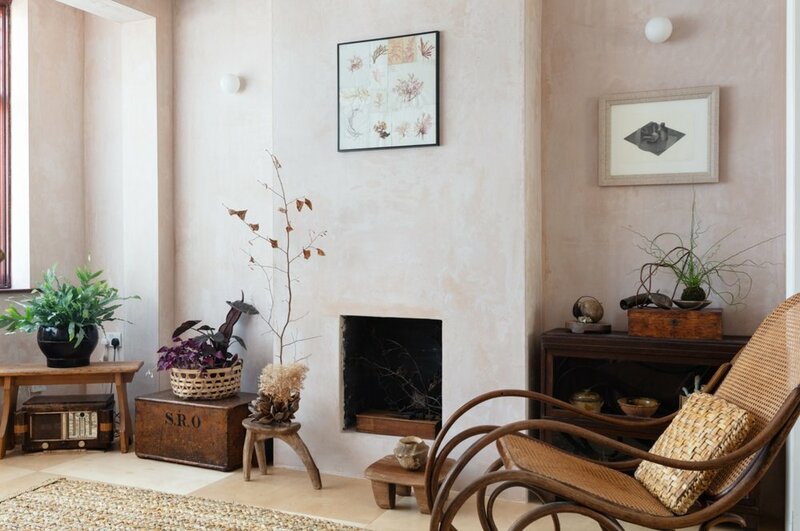 I touched on it earlier Wabi-Sabi is the latest trend to hit our interiors and I love it! Wabi-Sabi is the Japanese art of appreciating the beauty in the naturally imperfect world. It’s being hailed as the inspiration for health, beauty and wellbeing. So, no matter what your personal style, the one key factor to nailing this trend is understanding that your home doesn’t have to look like a showroom. Definitely a philosophy I can get behind.